If you’re looking to add a bit of late-night fun to your Walt Disney World vacation, The Edison at Disney Springs is one of your better options. From live cabaret to aerialist acts, The Edison delivers on late-night entertainment. One of the overlooked offerings that we recently stumbled upon was what The Edison calls the “Absinthe Fairy”. 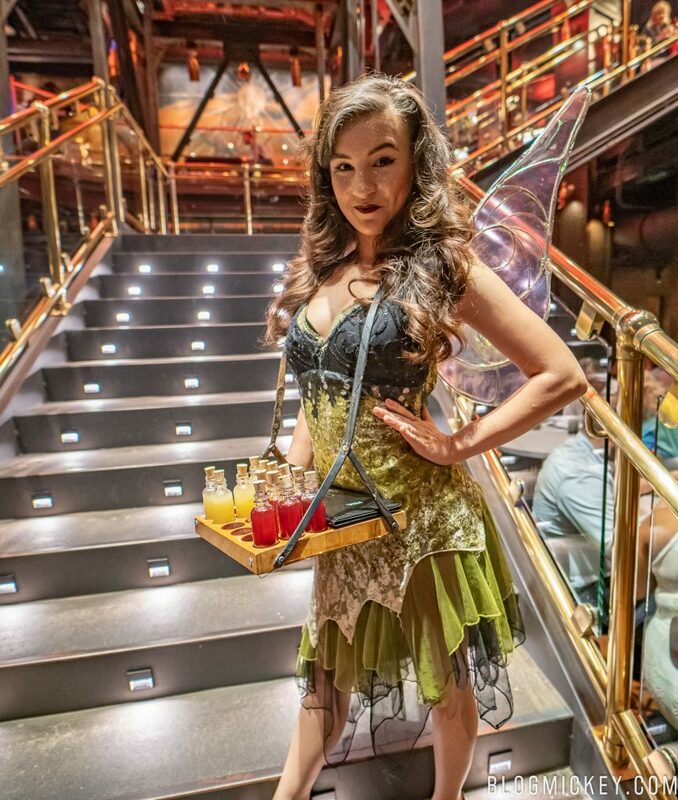 Next time you’re at The Edison, keep an eye out for the Absinthe Fairy (after 7pm) and her three potions of pixie dust. At $12 each, we decided to buy all three to review for you. Working left to right in the photo below, we have the Blackberry Cobbler, Orange Absinthe, and Lemon Drop. Perhaps somewhat disappointingly, there is really only one Fairy Bomb that has absinthe. The Blackberry Cobbler was actually a really flavorful drink that had a Stoli Vodka base. It smelled like a vanilla extract, but tasted just like an apple pie. This was our favorite of the three simply for the burst of flavor that you’ll get. The Orange Absinthe stays true to the concept of the Absinthe Fairy by containing absinthe in the drink. The classic licorice taste is present like what you’d find in traditional absinthe, but this Fairy Bomb also contains enough citrus to bring a subtle taste of orange to the palate. Finally, we arrive at the Lemon Drop. This is a pretty standard lemon drop with a smooth finish. It’s probably the smoothest of the three, followed by the Blackberry Cobbler, and then the Orange Absinthe as the strongest. All in all, we’d like to see the Absinthe Fairy conjure up some more absinthe potions as we enjoyed the Orange Absinthe. 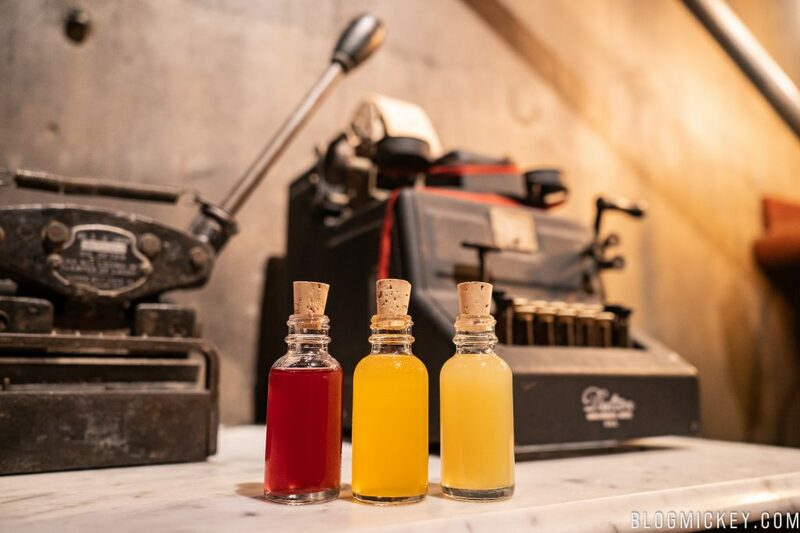 If you find yourself at The Edison for some late night entertainment, keep an eye out for the Absinthe Fairy and be sure to grab an Orange Absinthe or Blackberry Cobbler to enjoy with your late night meal.